Every year, Nolte gives its customers and retailers an opportunity to espy the latest collection of kitchens. 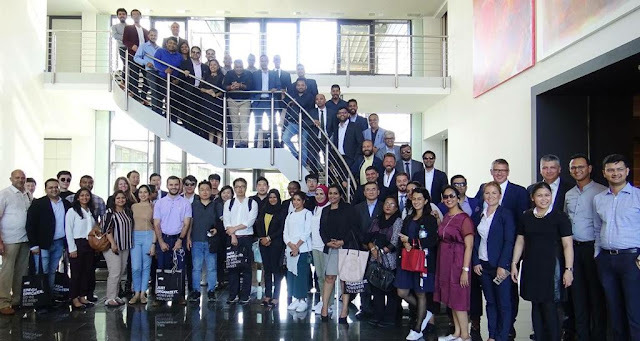 This year too, the annual In-House Fair 2018 which took place in Lohne, Germany from 15th to 21st September also had to offer the new collection and a class of elegance. The theme of the fair was "My life. My Style. My kitchen." 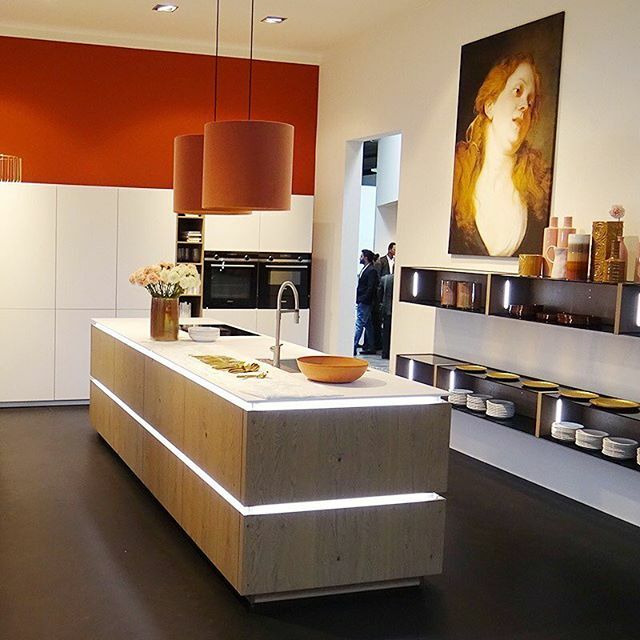 People from 64 different countries came together for the fair to witness the kitchens with personality. Individuality and uniqueness are expressed in the way we furnish our homes. We want to adorn our homes with natural materials and colours, which give us a feeling of timelessness. Some like it stylishly elegant, while others prefer the expressively emotional side. 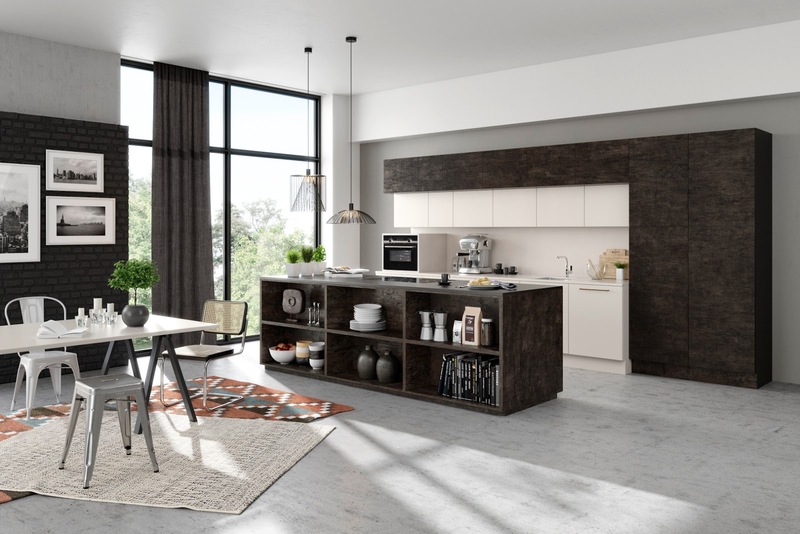 Therefore, this year, Nolte has selected Oak, a new natural material which is able to represent both, giving the kitchen an individual character. For instance: TAVOLA with an Oak Pinot veneer shown in a MatrixArt handle-less design. Oak can be combined with white for contrast. But there is freedom to vary the design from a range of different shades, a choice between cool and warm white. What's trending is the matt door fronts available with a laminate that turns fingerprints invisible, thus further enhancing the overall appearance. Details make the difference. This is also true when choosing the handles – or deciding to go without them! If the kitchen is handle-less all the focus is on the surfaces. The latest fronts also are expressively emotional like the Flame Scarfed Oak from the ARTWOOD range provides the frame for FEEL in Sahara. 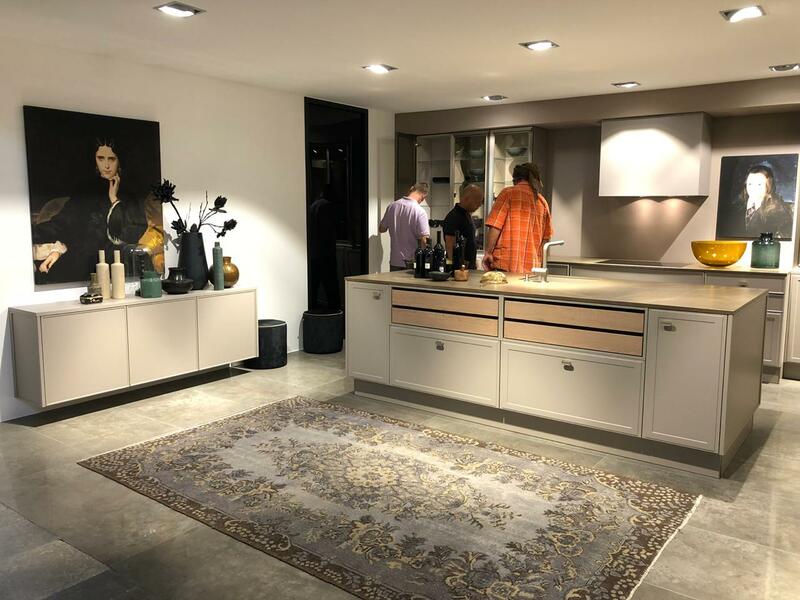 The decor is also used on the island, creating a fluent transition to the dining area with matching shelves and thus enhancing the living room ambience. Another noteworthy mention at the fair was the VIDA Cotton Papyrus, a new door ranges made from recycled materials – from the fibre board through to the decor paper used – making it a lasting contribution as part of the environmental protection. Flamed wood is becoming increasingly popular. It lends an original, rough charm to the kitchen and the adjoining areas. Using real wood or an impressively realistic decor as the alternative remains a matter of taste, just like the choice of contrast. The latter can be a natural shade or an accent using a favourite colour, which is likely to be found among the 20 nuances of Nolte’s Matt Lacquer Concept. 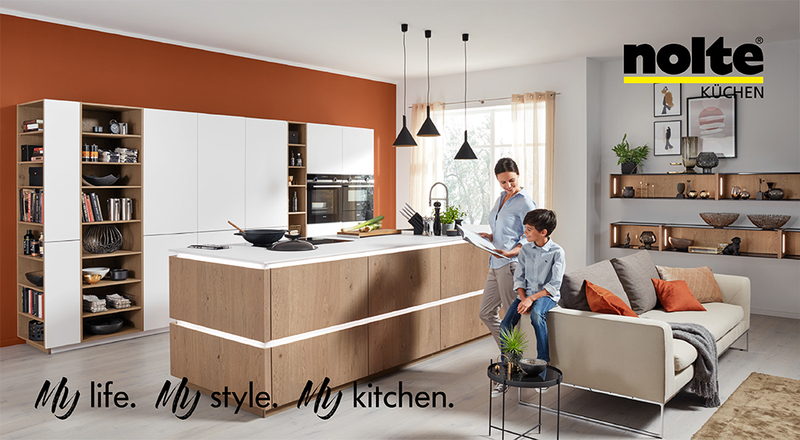 The kitchen, designed seamlessly with harmonising worktops, panels and living room elements, is guaranteed to be an individual statement. The fair also had a master chef event, a live band show, vox populi, the latest collection and product innovations. Watch the video for the major highlights.